Had a Muntjac give birth in our back garden yesterday, wasn't sure the kid would last the night but seems to be doing fine this morning. That's pretty amazing, I've never seen a wild deer in this neck of the woods, let alone one giving birth in the garden. There are Muntjac in the very heart of Sheffield, the dog found a recent casualty of a RTA last year. Thanks for flipping the photos, not sure why the critter cam has started capturing images upside down. We have roe, muntjac and Chinese water deer visit us although with any luck this time next year the back garden will be a building site. I believe that there are also some red deer on the NW side of the City but at the edge not the centre. There is a Deer farm to the NW of Sheffield, not heard of any wild Red Deer. Roe Deer are fairly widespread around the city. I believe there are a few wild reds in the Stocksdale area, in particular in Wharncliffe Woods, they may well have originated as escapees from the deer farm but there are other wild reds not too far away in the Peaks. 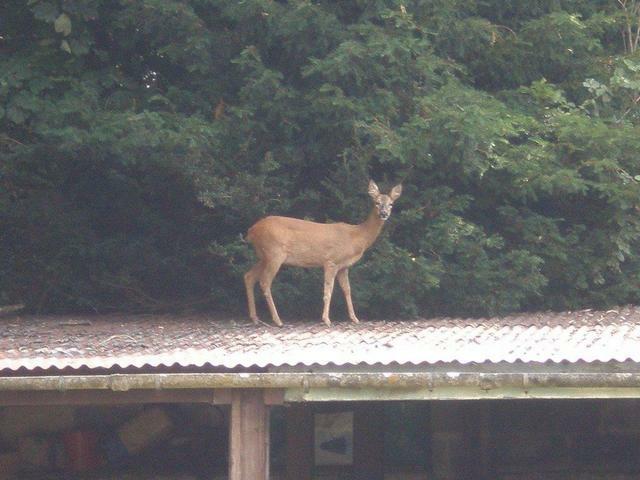 We get lots of Muntjac and are overrun with Roe here in the Cotswolds - here's one on the garage roof. They look so cute but devastate the garden. There are roe and muntjac in the general area of the Teifi valley with a few sika/red hybrids on the marshes on the estuary. 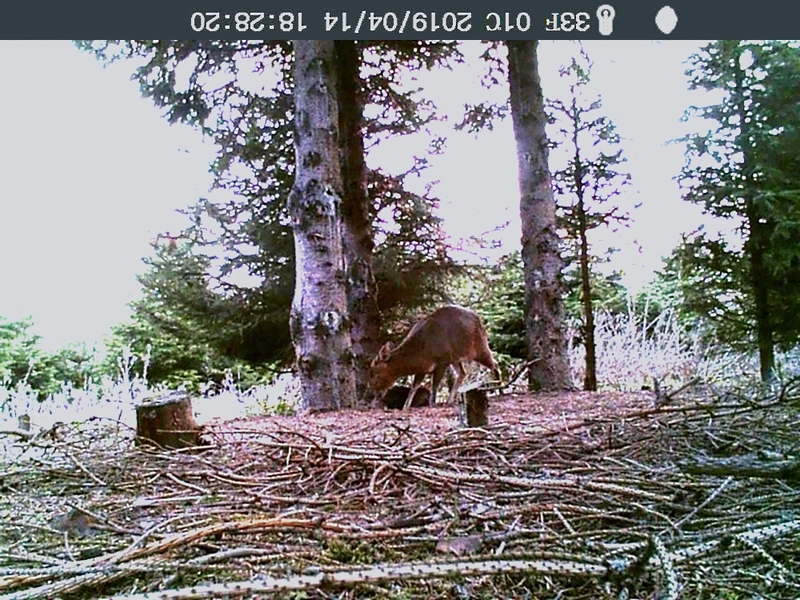 The roe and muntjac are still quite thin on the ground but a cousin at Llangoedmor occasionally has roe in his garden.